This is my tribute to a week-long spell of signing my life away in indemnity forms. Breathtaking, heart-stirring, hair-raising, all at the same time — this trip was definitely epic. 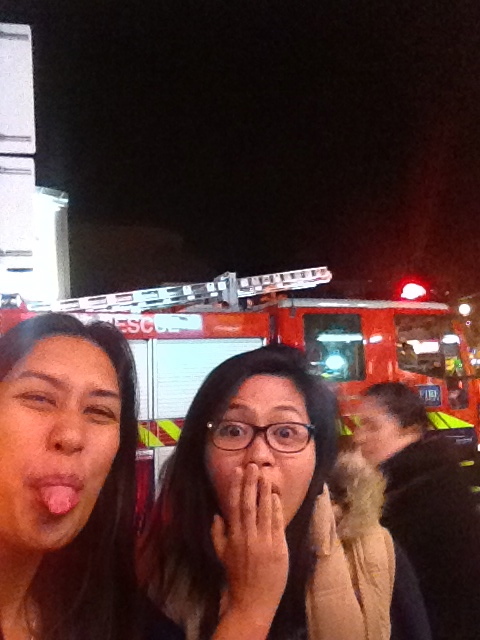 Went back home to find a fire engine right outside our hostel — turns out the BBQ party was too hot to handle, it set off the smoke alarms :p Turns out this happens a lot in QT; I met another backpacker who said firemen also had to show up in their hostel. Busy town, this one. It’s not a BBQ party until the firemen show up. Went home hungry enough for a whole Bambi Fergburger. Today is a much-deserved chill day. Had an IT Crowd marathon with newfound friends at the hostel. It was time for another Fergburger. Hopped on Bus 11 to rush to the QT airport for my flight back to Singapore. See you again, QT!